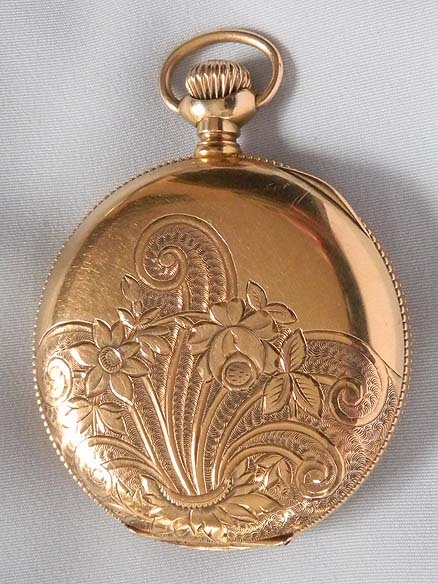 Very fine and very rare gold quartz and gold flake mounted 14K gold 16/S Waltham antique pocket watch circa 1908. 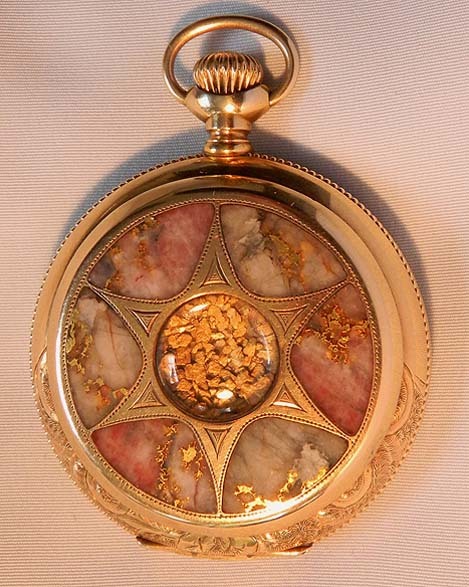 The cover with specimens of gold quartz in a star design centered by natural panned gold flakes under glass. 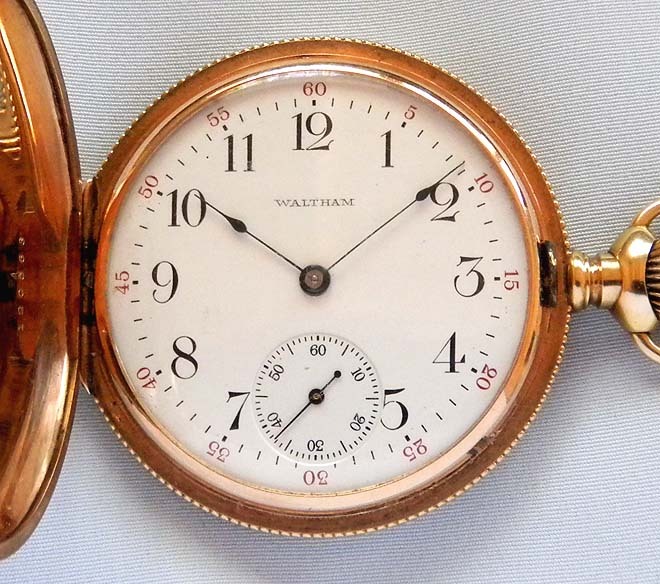 White enamel dial with black and red markings and blued steel hands. 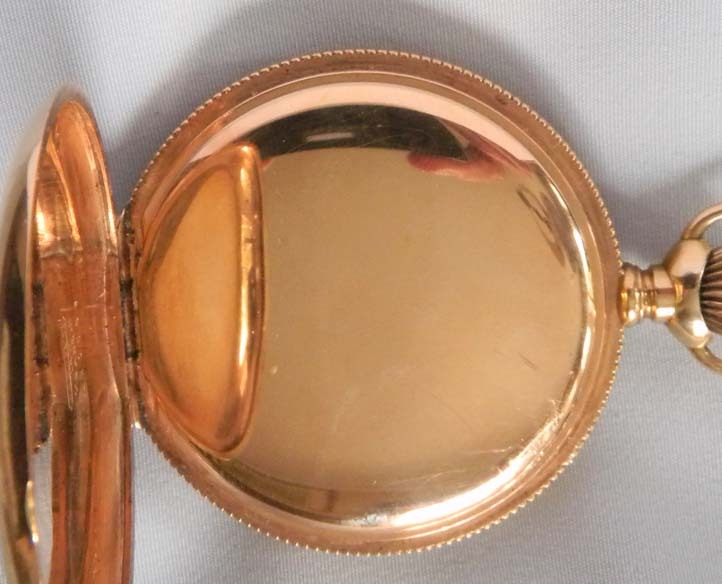 The case back engraved, the bezel with an unused setting lever slot. 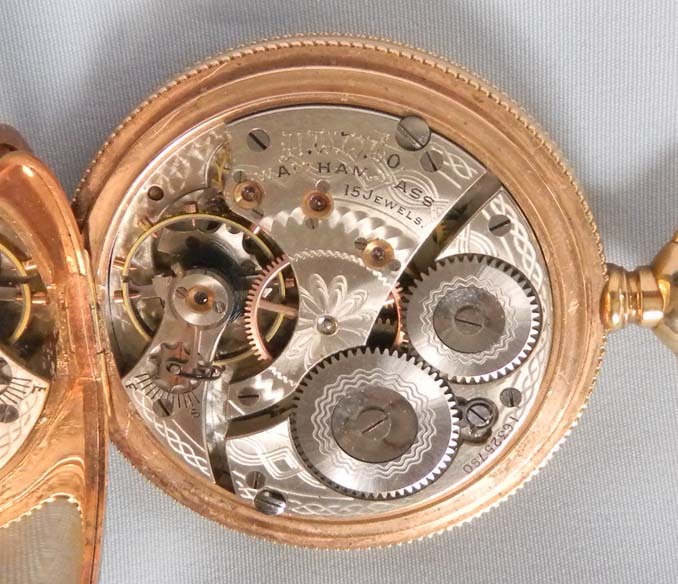 Good 15 jewel nickel movement.